La Sportiva is a traditional Italian shoe and boot manufacturer based in the Italian dolomites. Since 1928, La Sportiva has served as one of the world’s most well-known brands for rock climbing shoes, mountain boots and trail running shoes. La Sportiva offers high quality footwear with a track record of superior quality. La Sportiva manufactures most of its products at their modern, state-of the art manufacturing and warehouse facility. 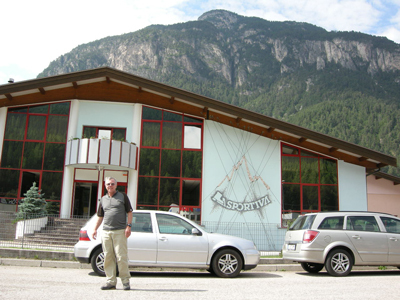 Most of their rock shoes and mountaineering boots are fully made in Italy at these premises. In addition, their design process takes an innovative approach with a modern outlook by performing extensive research on how to create the best products for customers while actively seeking out ways to reduce negative impacts. The La Sportiva factory is small and is the creative workspace for just 150 employees, something that is virtually unheard of these days in footwear. While other companies have chosen to cut costs and quality and focus on competitiveness, resulting in outsourced production, the factory has not changed to reflect these trends. Located in Ziano di Fiemme, a small mountain village in the heart of the Italian dolomites, this footwear tradition lives on. Bogong is proud to represent La Sportiva in Australia. Bogong, together with La Sportiva, are sponsoring the La Sportiva Mountain Running Series. Bogong caters to all types of outdoor adventurers and we can provide the quality specialised mountain and trail running shoes, rock shoes and mountaineering boots that you require for your outdoor endeavours. Visit our Melbourne store or shop our extensive online selection.